The eagerly awaited long weekend is almost upon us! Memorial weekend begins Friday, May 26th through Monday the 29th. Don’t have any plans yet? 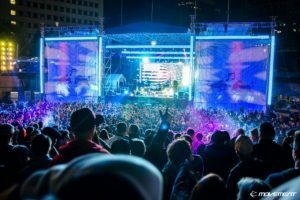 Check out some events located in Metro Detroit! Marking his 26th consecutive year being the venue’s season opener, Eddie Money will take the stage at 7:30 p.m. Friday, May 26th. His featured openers are Dez Money and the Faze and Tripper. Tickets are available at palacenet.com. Catch Jermaine Dupri’s “SoSoSUMMER 17 Tour” at the Fox Theatre on May 26th. 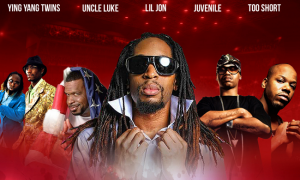 Hip Hop Smackdown 2 takes the stage the next night which features Mystikal, Ying Yang Twins, Too Short and Lil Jon. Tickets for both shows are available at olympiaentertainment.com. 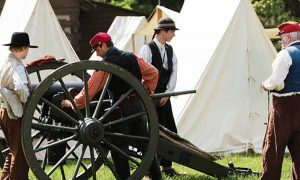 During Memorial Weekend, become a part of living history as Union and Confederate reenactors, bustling camps and period music take over Greenfield Village for a Civil War remembrance event. On May 28, the programming for Civil War Remembrance will be extended until 9 p.m. On May 29, The Henry Ford will host a Memorial Day Commemoration ceremony on the village green starting at 12:00 pm with a National Moment of Silence at 3 p.m. signaled by the Armington & Sims shop whistle. Admission to Civil War Remembrance is $27 for adults, $24.50 for seniors 62 and older, and $20.25 for youth ages 3 to 11. Children ages two and younger get in free. Visit thehenryford.org/current-events/calendar/civil-war-remembrance/ for more information. 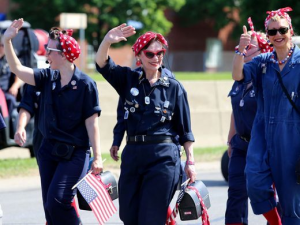 Come watch Michigan’s longest running Memorial Day parade in Dearborn at 10:00 a.m. Running west on Michigan Ave. from Maple Street to the Henry Ford Centennial Library, the parade this year will salute “women in the military.” It’s one of the country’s largest Memorial Day parades and going on its 93rd year. The parade will have over 60 marching groups, 8 school bands, hundreds of veterans, and a Coast Guard helicopter flyover. Enjoy one of these events as well as the drive there and back in one of our Trinity vehicles. Check out which choice is best for you and book your ride here.